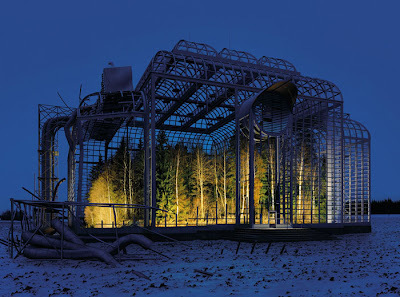 I've seen these a few times in the past, but recently these images of Ilkka Halso's Museum of Nature struck me with a new sort of resonance - specifically in relationship to our architecture/landscape interactions. 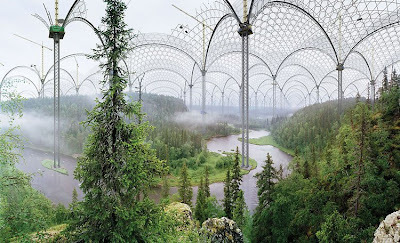 Inhabitat just featured these again recently: "Using images of landscapes and 3D digital manipulation, this photographic collection captures a future vision of nature as a rare display. Challenging the audience’s interaction with the natural environment as endangered artifact, Halso manages to truly visualize a future we so desperately do not want to see become a reality." It is interesting to see how these veg.itectural photo-manipulated images described the nature/culture question, similar a number of essays in a recent review (and somewhat reminiscent of the cover photograph) from the Harvard Design Reader. Or as summarized in Inhabitat: "However, we also think that these thought-provoking portents could stand-alone in any urban environment to remind us how truly precious our natural world is becoming." 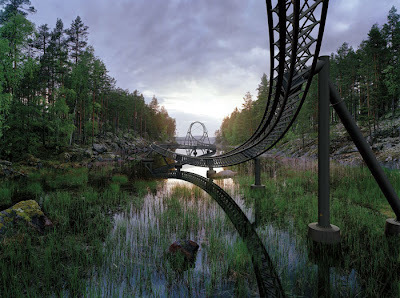 The above image is one of my favorites, and perhaps most plausible... a surrealist amusement park ride amongst the wetlands - the only inputs to impact the natural balance is the occassional deposit of partially digested cotton candy and caramel corn making it's way from the swirling human blender above. 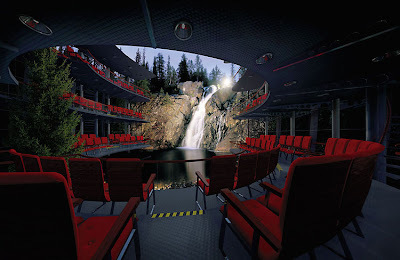 A couple of more architectural examples include the following images of an elegant theater, as well as a patched together tensile structure amidst yellowing poplars. Perhaps the power of these images is how much they feel like we want to design. They seamlessly, through the aid of pictorial representation and digital tools, to patch up all of the blemishes of reality that exist. It reminds me of a number of the digital project images, evoking perfection of the design - artful integration of vegetation and building. While tend towards the real, this almost become elements of architectural representation versus photographic art. And it's amazing often how much our reality seems to differ, but sometimes get's close, to this level of perfection.